Leading Adventure Operator in Spain. Fast Booking and Secure Payment. Shinrin Yoku in Madrid. Forest Bath in Madrid. Shinrin Yoku. Enjoy an outdoor experience in the mountain forests of Madrid. 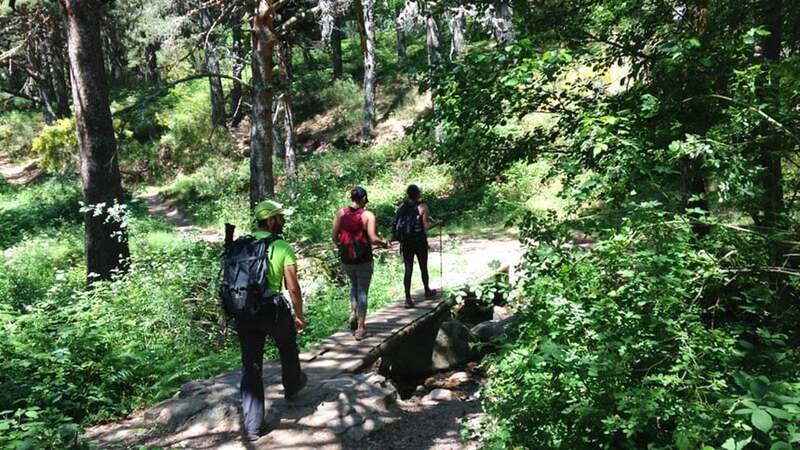 Hike and take a forest bath in Guadarrama National Park. Go to a Forest. Walk slowly. Breathe. Open all your senses. This is the healing way of Shinrin-yoku Forest Therapy, the medicine of simply being in the forest. Discover Shinrin Yoku in Madrid! 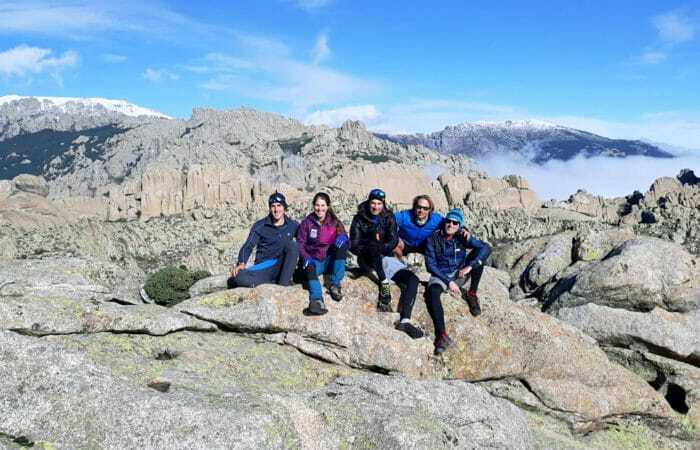 Dreampeaks organizes Shinrin yoku experiences and hiking tours in the Sierra de Guadarrama National Park of Madrid. Transport Included. 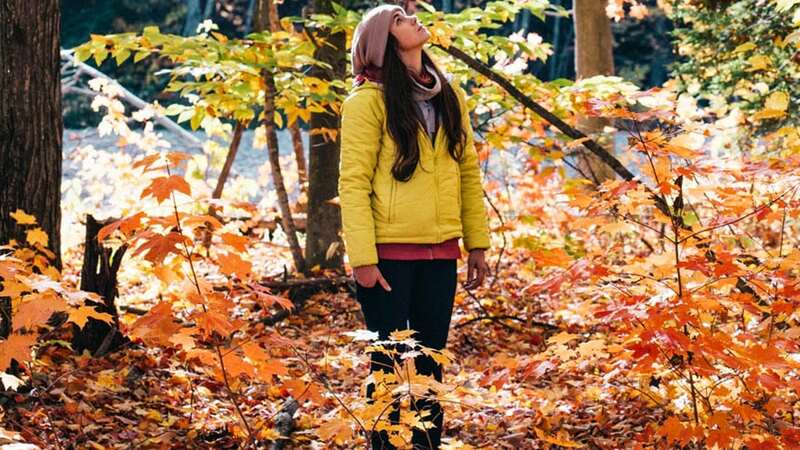 Shinrin-yoku is a japanese term that means “forest bathing.” The evidence and scientific studies prove that a walk in the woods has great physical and mental benefits for your health. 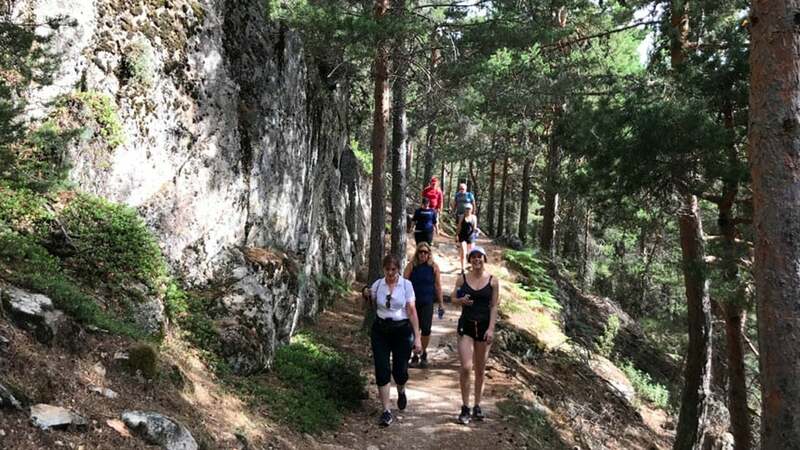 We lead forest bathing experiences in Guadarrama national park. It combines leisurely walks on gentle paths under forest canopy with guided activities to help you open your senses, hone your intuition, and experience the forest as you never have before. We go for a mindful walk, very slow in pace, breathing, like a walking meditation. The whole idea is to become superaware of the senses, reconnect with nature and rewild ourselves. Enjoy Shinrin Yoku in Madrid! Certified Mountain Guide (english speaking) and Shinrin Yoku instructor. 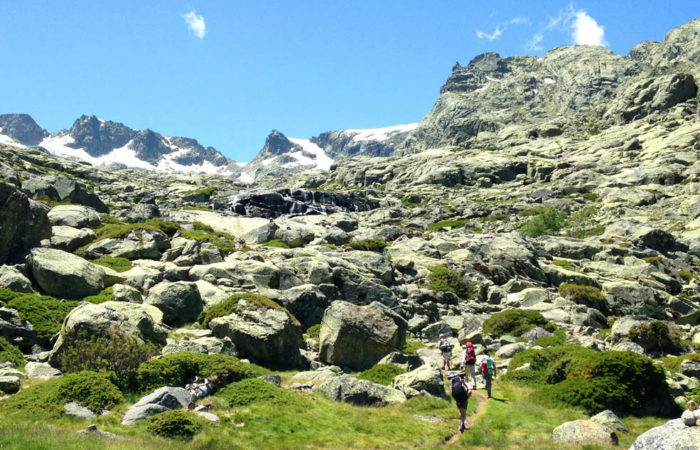 Hiking and Shinrin yoku tour in Sierra de Guadarrama (3 hours duration approximately). Navigation equipment, group First-Aid kit and route information. Accident Insurance and Civil Liability Insurance. Non commercial transport in the guide´s vehicle and pick up service at your hotel or accommodation in Madrid. Mountain/Hiking boots or trail shoes, Sports shoes. 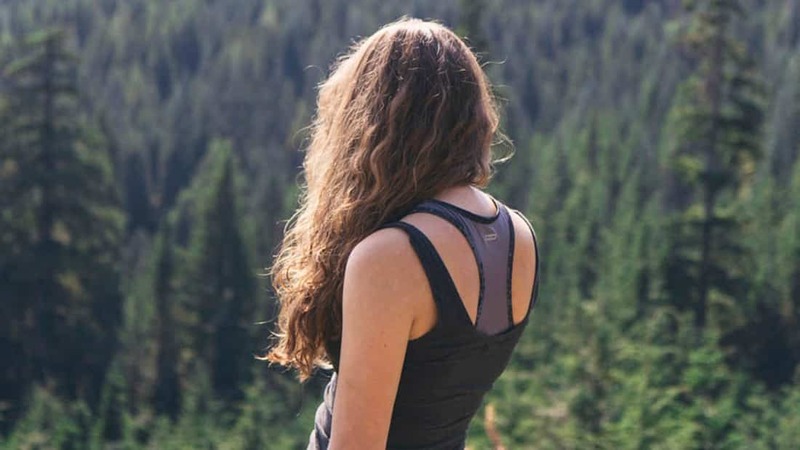 Mountain wear/Sport wear (according to the season). Waterproof jacket (windproof/waterproof Gore Tex type). Warn hat and warm gloves (autumn. winter and spring season). Sun screen and lip balm. Passport/Identification document and personal belongings. 1,5 L of water and snacks (sandwich, fruit, nuts, energy bars, etc...) per person. -For large groups please enquire directly with the company and ask for a quote. -Outdoor, sport or casual wear according to the season. -Personal medication (asthma, allergy, diabetes,…). Meeting points: Custom pick up address available on check out. Gallery: Shinrin Yoku in Madrid. Forest Bath in Madrid.